The room was very spacious and the beds were comfortable. Great location. The best location in Rhodes, good price and, big room. Clean modern hotel in a good location. The spacious rooms are good value for money. We really loved the xl balcony that our corner room was equipped with! Great wiews to all directions and located in the middle of everything, without being too noisy at nighttime. The central location is also the keyword for this hotel The staff at reception was helpful and friendly. Quite satisfying breakfast with really good hours (7-11), Considering the quests' vacation habits Bonus: Nice xl bed Renovated & fresh rooms for non-smokers We could store our luggage even a day before checkin - highly appreciated. The rooms were very clean and maintained throughout our stay. The breakfast was very limited in choice but fit for its purpose. The staff were very friendly and approachable. The beds were very very comfortable. A very pleasant stay , with friendly staff , an ideal location for everything you need , nice clean room and fine for one , possibly a bit small for two , so book a room as good as you can afford if you need a bit of space .. Nice staff who were helpful with any enquiries ..I'm not a breakfast person so sorry you'll have to find out for yourself ..
One of our top picks in Rhodes.With a central location in Rhodes Town, Esperia Hotel is only 350 feet from the beach. It features a swimming pool with a sun-lounger terrace, and offers an American buffet breakfast. All soundproofed rooms are equipped with satellite TV, radio and fridge. Each has air conditioning and a private bathroom with hairdryer. 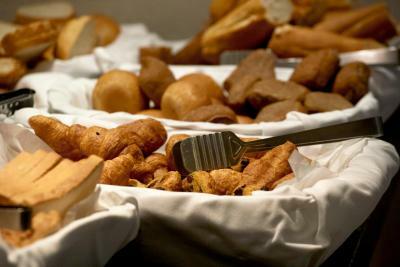 An American breakfast is served daily at the dining area. Guests of the Hotel Esperia can also enjoy snacks at the poolside bar, while the bar at the lobby serves cocktails and coffee. 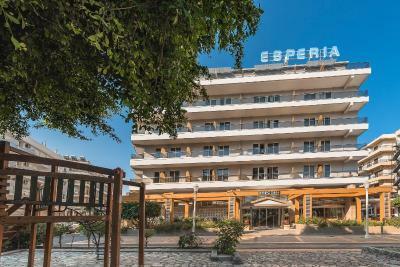 Esperia is very close to the Rhodes Casino. 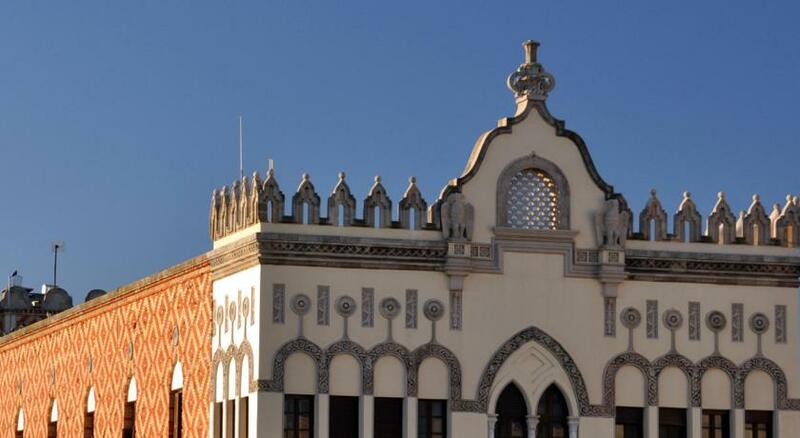 There are many restaurants, clubs and shops within walking distance. Staff at the 24-hour front desk can offer information on the famous Butterfly Valley 12 mi away. Rhodes International Airport is at 8.1 mi. Air-conditioned room with a balcony and double glass-pane windows. It features a hairdryer, a TV and a fridge. Please note that air conditioning is available between June and September. This apartment features a balcony, air conditioning and stovetop. Kindly note that children are offered discounted rates at breakfast. This twin room features a balcony and air conditioning. Air-conditioned room with a balcony, hairdryer, TV and a fridge. Please note that this room type does not include breakfast. 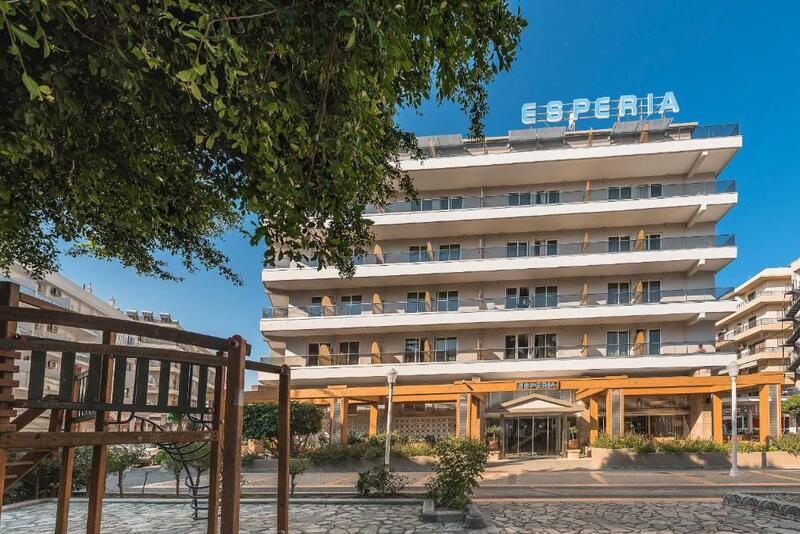 Esperia City Hotel, a 3-star hotel in the heart of the city of Rhodes. The hotel is a modern city hotel with all the amenities, swimming pool and impeccable service and within walking distance of major attractions, restaurants of the city. Please note that the government tax will be collected upon arrival. Please note that guests must show at check-in the credit card used to make the booking. Please note that air conditioning is available from 01/06 until 30/09. A security deposit of EUR 50 is required upon arrival for incidentals. This deposit is fully refundable upon check-out and subject to a damage inspection of the accommodations. 1.Noisy area in the evening time 2.Partly renovated rooms. We had the room before renovation. It is concerning bath room 3.Very small shower cabin with plastic curtains 4.Toilet is hidden behind the door, when the door to the bathroom is open. There is very small place,enough for very small- sized people. The breakfast is average, the 'fruit juice' a chemical concoction and the coffee undrinkable. The choice of the breakfast was limited.